At Resident Eyecare Associates, our optometrist in Fair Lawn and the rest of our experienced optometry team takes great pride in serving the surrounding areas of Paramus, Glen Rock, Teaneck, Englewood, Passaic, Clifton, Paterson, Elmwood Park, Hackensack, Maywood, Rochelle Park, Ridgewood, North Haledon, Garfield, River Edge, Radburn, Bergenfield, New Milford, Prospect Park, and Hawthorne. 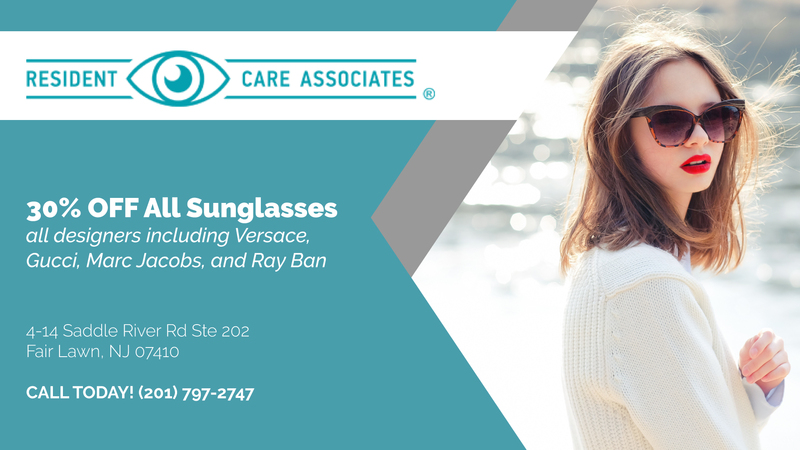 If you’ve been looking for a local Fair Lawn eye-care team you can trust with your eye and vision health needs, we’ve got you covered at our convenient office location on Saddle River Road. With nine eye doctors on our staff and thirty years of service to the surrounding communities, we’re your one-stop shop for all your eye care needs. There are a number of eye conditions and diseases that our eye-care team are able to treat and manage in our office. Glaucoma is among the most common diseases that we see and treat and occurs when high pressure in one or both eyes causes compression of the optic nerve. This can lead to permanent vision loss if not treated promptly. We can also treat more common conditions such as pink eye, conjunctivitis, and dry eye with medicated eye drops. For those interested in vision correction without the need for LASIK surgery, we also offer corneal refractive therapy in our office, which involves the use of specialized contact lenses to temporarily reshape the corneas for improved vision. Great place to get accurate and on time prescription. Dr Hodle is amazing, the stuff is really helpful, especially Lucy and Jasmine. I have been going here for 2 years. i am always greeted with friendly staff members. They are the best eye care I have had in my many many years of wearing glasses. Everyone here was super helpful, I would definitely recommend family and friends here. Dr. Sholomon was extremely knowledgeable and took the time to answer all of my questions. Lucy and Jasmin also were amazing and pleasant. They helped me pick out the perfect pair of glasses!